JMPA Says to Quit Being Absurdly Hysterical About BPA! According to an indignant newsletter sent out by The Juvenile Products Manufacturers Association (JPMA), we all need to take a step back and quit being overly dramatic about the dangers of chemical bisphenol A (BPA). Safe Mama has the full scoop on this crazy JPMA newsletter, which was sent to her by a reader. The newsletter is filled with a full page of why BPA is not only perfectly safe, but saves lives, and it states that research regarding BPA is nothing more than a “Sure sign of unscientific hysteria.” Wow. The evidence doesn’t actually show that BPA is toxic. The initial studies injected BPA into animals, rather than giving it by mouth, which is how humans are exposed. Any newsletter, blog post or article worth it’s salt will site sources or refer readers to more information, and JPMA does just that. For newsletter readers interested in more BPA information, JPMA refers them to an opinion piece by… wait for it… John Stossel. Seriously? FOX News John flipping Stossel? Stossel’s not a scientist and is well-known for his outspoken opinions against pretty much everything eco-minded, other than maybe bike riding. Stossel thinks global warming is a joke and puts down organic food. While he’s free to speak his mind, he hardly strikes me as a even minded spokesperson for BPA issues. JPMA notes that they’re, “Dedicated to promoting the industry and the safe use of juvenile products,” meaning they’re a trade organization, not a parent organization, so it shouldn’t come as too big a surprise that JPMA, like our Senators, are promoting what’s in the best interest of the industry (continuing to use BPA), not what’s in the best interest of families (banning BPA). Still, it’s a little shocking that they’d go this far. The JPMA newsletter would have you believe that everyone is overreacting about BPA, absurdly so even. 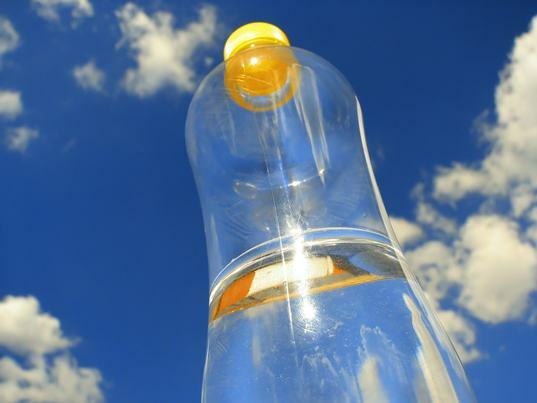 However, Safe Mama has a long list of linked studies discussing the dangers of BPA. Beyond that, there are already over 200 research studies that back up the fact that BPA is harmful for humans. If there are so many studies about the possible dangers of BPA, then why on earth would JPMA support its ongoing use? JPMA represents, “250 companies in the United States, Canada, and Mexico who manufacture, import and/or distribute infant products such as cribs, car seats, strollers, bedding, and a wide range of accessories and decorative items.” Many of the companies JPMA represents rely on BPA to make their products, and finding alternatives takes both time and money. As noted above, it’s easy and cheap for companies to keep on using BPA, which is likely why they keep pushing BPA as a safe material. On that note, it’s also easy and cheap for consumers to keep right on buying products that contain BPA. This is where your advocacy comes into play. You can purchase from companies who support BPA, or take the time to go BPA-free. 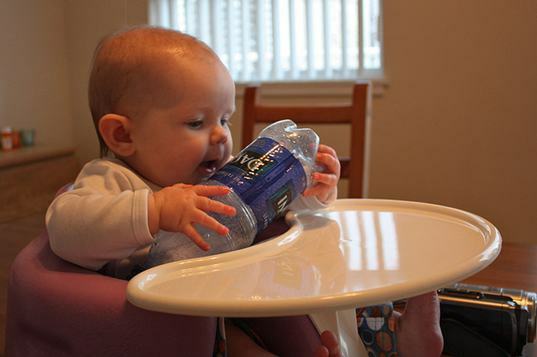 Use glass food storage, glass baby bottles and stainless steel water bottles. If you can’t find glass or stainless steel, use (lead-free) ceramic, or porcelain containers, not plastic for food. Eat fewer canned foods or purchase canned goods from a company like Eden Organics who offers some canned foods in BPA-free cans. Fresh food, frozen food or dried foods are alternatives to canned goods. Don’t buy plastics marked with a recycling number “7,” which indicates BPA use. 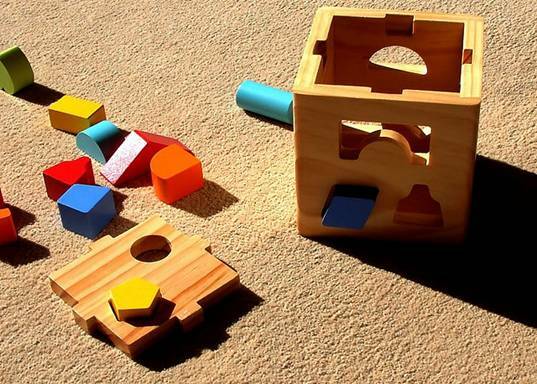 Buy from toy companies who use alternative or natural materials, such as wood, not plastic. Am I the only one that is not buying this? Does not matter how the chemical is put into our body (injection or digestion), both enter the body and it's not safe. We are not that stupid. I am quoting The Story of Stuff, when I say, "Toxins in, toxins out", it's not that hard to figure out. I can't believe how JPMA does not give parents more credit. Never mind the fact plastic bottle have done no good to our environment. I will use glass thank you very much. @Michael - Once the newsletter kicks off, it states, "please find updates on several issues affecting the juvenile products industry" then goes on to say, "Plastic Water Bottles Won't Hurt You" as if it's a news headline. Then there's a bunch of info about useful BPA, THEN a link to further info at John Stossel's opinion piece. If indeed, "the comments referenced were not written by JPMA" and in fact the entire deal was a John Stossel opinion piece, then one, whoever writes your newsletter needs to make that much more clear. There is ZERO mention of Stossel until the very end. Additionally, Stossel, while entitled to his opinion, is an odd choice for a newsletter piece that's meant to inform your subscribers about today's issues in the child product market. Stossel is not a scientist, he's not in the child-product market (that I know of) and it's clear to almost everyone I know that he's extremely one-sided about the BPA, and other eco-minded issues. He's not balanced and this newsletter section reads like a down with the BPA scaremonger deal. If I was a retailer reading this, I'd maybe assume that the BPA argument is over - that BPA is perfectly safe, but as you note there are two sides to this issue. Thanks for the update in any case, and it's nice to know that "JPMA members have not manufactured polycarbonate baby bottles for a couple of years" but if you put information out there without saying "This is not our opinion, but an article by someone else" it's hard to see how you would not be taken out of context. 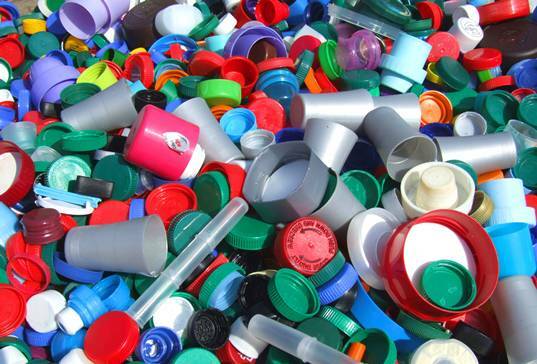 According to an indignant newsletter sent out by The Juvenile Products Manufacturers Association (JPMA), we all need to take a step back and quit being overly dramatic about the dangers of chemical bisphenol A (BPA). Safe Mama has the full scoop on this crazy JPMA newsletter, which was sent to her by a reader. The newsletter is filled with a full page of why BPA is not only perfectly safe, but saves lives, and it states that research regarding BPA is nothing more than a "Sure sign of unscientific hysteria." Wow.